As the voices demanding to bring the sitting US administration to justice are getting louder, Washington is literally in panic, since it may soon be held responsible for hundreds of thousands of civilian deaths. These concerns have recently been intensified by Hillary Clinton’s electoral defeat, since it was obvious for the members of the Obama administration that would have been covering up those influential criminals along with the crimes they’ve committed. Since Hillary herself was heavily involved in the destruction of Libya, Iraq, Afghanistan, she’s has a deep personal interest in obstructing justice. 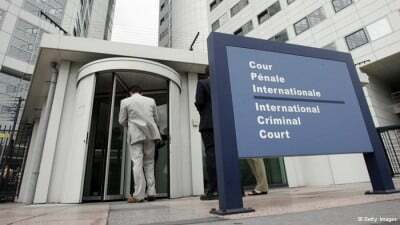 The “panicky mood” in the White House was intensified even further by the announcement of the International Criminal Court (ICC) Prosecutor Fatou Bensouda, who stated that the ICC would start investigating US war crimes in Afghanistan. Under these circumstances the White House has started pushing its corporate propaganda machine to vilify Moscow and Damascus, to divert the attention from the damage the US inflicted upon the countries of the region, including Iraq and Syria. Western journalists have been “recommended” to go down hard on Russia, Iran, Syria so that a regular reader would assume that the humanitarian catastrophe and the exodus of migrants from the Middle East is someone else’s fault. An extensive amount of attention has been drawn to the situation in Aleppo, as virtually all Western leafless would feature pictures of a Syrian girl allegedly rescued from the rubble “after the inhumane bombing” of Aleppo. However, a number of French-speaking sites, in particular, the Réseau international, Antipresse or Arrêt Sur Info have already declared those pictures a blatant manipulation, since the gild has been photographed in several places being carried by three different militants of the “white helmets” that are pretending to be rescuers during the day only to transform into Islamist insurgents as soon as the darkness falls. At the same time the Pentagon tried to downplay the amount of “collateral damage” that the the US Air Force inflicts in Iraq and Syria. In particular, according to the statement by the representative of the Central Command of the US Armed Forces, Colonel John Thomas, during the period from November 2015 to September 2016 a total of 64 civilians was killed by American air strikes in Syria and Iraq. However, one could hardly call this number “inaccurate”, since it’s a blatant lie. Last January a single US air strike in the Aleppo region resulted in 24 civilians killed and more than 40 injured. Later on a air strike against the Kurdish village of Sulsana resulted in 19 civilian deaths, among which one may find 3 minors. In July, the village of Tokhars was burying 45 adults and 11 children after a bombardment carried out by the US Air Force. Finally, the village of Hamir lost 9 people to American bombs, including 4 minors. The US Air Force claimed the lives of 167 civilians, including 17 women and 44 minors in the Syrian city of Manbij in the period from May to July. As for the Mosul assault, that is being heralded in the West as the greatest achievement of “allied forces” to date, it’s been a massacre. On March 20, as the result of a direct hit on the local University, American pilots left 92 civilians dead and 135 more injured. On April 18, the US Air Force destroyed a local tank farm, killing 150 civilians in the process. Finally, on October 21 a funeral procession came under fire in Daquq, leaving behind 21 dead bodies. The incredibly modest evaluation of the “collateral damage” that US Air Force inflicts upon the Middle Eastern population has been heavily criticized by the Amnesty International along with a number of various experts. The charts that White House present them with show one civilian is being killed in Iraq and Syria per 200 US air strikes… At the same time the Pentagon admits that in Afghanistan there was at least one civilian victim per every 15 air strikes, while the latest report from the White House shows that civilians are being killed each 5 flight against possible terrorist targets in such countries such as Pakistan and Yemen. If these figures are to be applied to the number of air strikes that the US carried out in Iraq and Syria, it will mean that during the US-led air strikes resulted in at least more than 300 civilians killed, while 2,750 civilians looks like a much more accurate number. The Amnesty International has analyzed the data provided by Syrian human rights activists and local monitoring organizations only to come to the conclusion that a total of 11 air strikes that the Pentagon would launch a total of 300 civilians is to be killed, while Washington would only acknowledge a single death, if any. In total, according to various estimates, in the Syrian conflict has already claimed the lives of more than 300 thousand people. Therefore, the White House strongly spins the hysteria about the alleged guilt of Russia and Damascus in the deaths of civilians Aleppo, without presenting any evidence, which brings us to the conclusion that this is nothing but a cheap trick used to shift the focus of the public attention from the unbelievable amount of “collateral damage” Washington has been inflicting on Syria illegally, since nobody has invited it. But, as the announcement about the International Criminal Court investigation shows, the war criminals are to be established and brought to justice, no matter how hard they may try to avoid the responsibility for their war crimes.